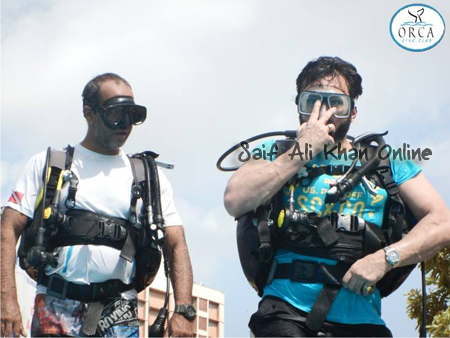 Actor Saif Ali Khan has taken time off from his work and has headed to Maldives with his wife Kareena Kapoor Khan, Son Ibrahim, Sister and Brother in law. 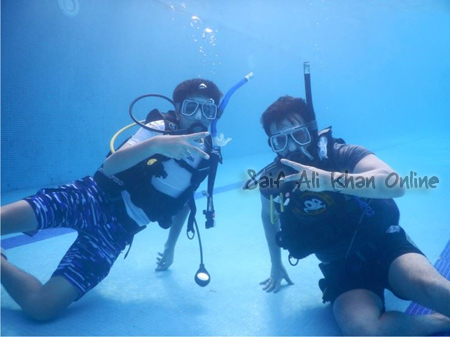 While in maldives Saif and son Ibrahim also took time off to take scuba diving lessons. 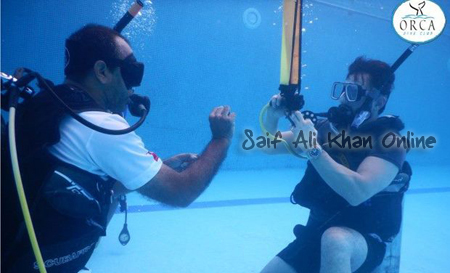 Below are pictures of Saif Ali Khan and Ibrahim learning to dive. 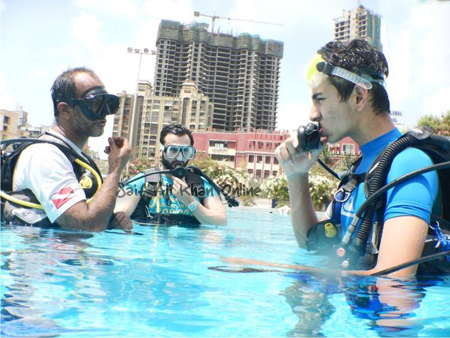 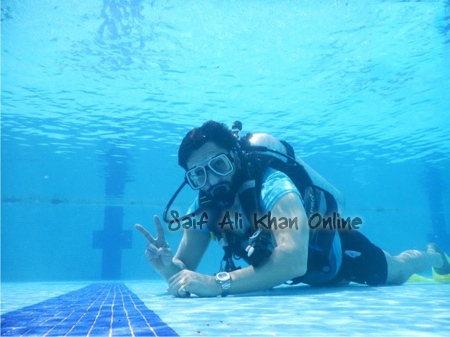 Photos of Saif Ali Khan and Ibrahim learning to dive.